Trekkers rest at Everest Base Camp, Nepal. 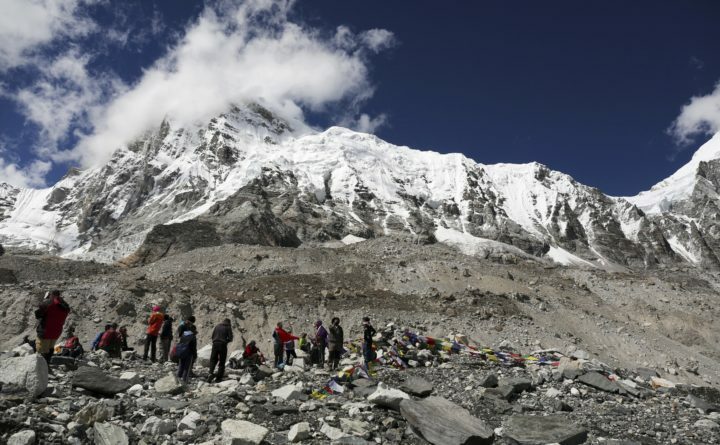 As climbers begin to reach the summit of Mount Everest, some veterans are avoiding the Nepali side of the world’s highest peak because melting ice and crowds have made its famed Khumbu Icefall too dangerous. “There are fewer ladders compared to previous years and hardly any complex features to climb and cross,” Ang Sarki Sherpa said. Since 2013, the government of Nepal has been issuing about 300 foreign permits every year, which means that, with guides and porters, the slopes of Everest are crowded with about 800 people every year. Last year, Nepali authorities awarded a record-high 375 climbing permits – the most since 1953. The number is dropping to 347 this season.